Aztec Electrical is equipped to manage all of your commercial building electrical requirements at every level—from multi-million dollar new-build projects to minor electrical installations and repairs. At the commercial level, our goal is to create an electrical system that insures safety and energy efficiency. 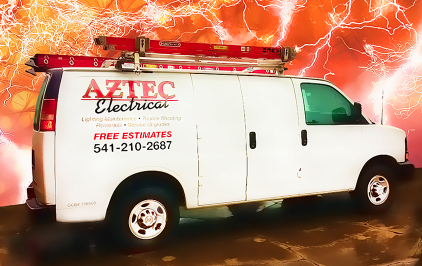 In addition to providing general repair of exterior lighting, Aztec Electrical will evaluate your existing system, determine whether repair or replacement makes sense, and then design a lighting solution that is compatible with your existing facility electrical system. These span all the modern technologies including LED lighting, compact fluorescent, HID systems, lighting retrofit, lamp upgrades, along with other developing technologies. Aztec Electrical can turn a basic diagram of your construction site into a workable system, approved by the municipality and economically designed to provide for enhanced energy savings and quality electrical systems.